Well here I am in 2012, using Twitter, and using it daily. Don’t judge me; if anything, you should join the ranks. I mentioned in a previous post the common practice is to Google therapy ideas to supplement Evidence Based Practice. Well in order for Google to answer these requests, there must be someone to post the answer first. Other, more experienced SLPs have begun answering questions and posting ideas for others to find, such as: @SLPTanya , @Azspeechguy , @speechtechie , @apujo5 , @Speechreka , @ActivityTailor , @mtmarySLP , and many, many more. You don’t have to wait until the 2012 ASHA Convention in Atlanta to join in. 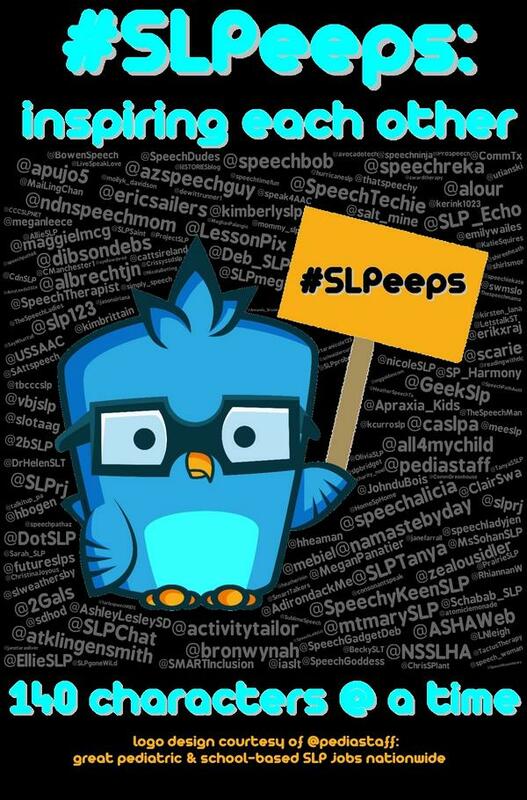 Twitter Handles (names) to start following for SLP or AUD related tweets. What do you think of Twitter and these Personal Learning Networks? Great post! I’m looking forward to helping introduce twitter & discussing social networking with people at the booth!